Brewing your craft beer is a complex yet rewarding process. While its been a process that’s been around for thousands of years, you have to know how to do it correctly. Fortunately, we’re here to help. How Long to Ferment the Beer? Why Do I Need Sugar? How Long Should You Leave Beer in the Bottles? Thousands of years ago, humans started to create a brewing process in order to make wine. As ancient society learned how to make wine, grapes, and finally grains to create an alcoholic beverage - it was a process that was usually done at home. 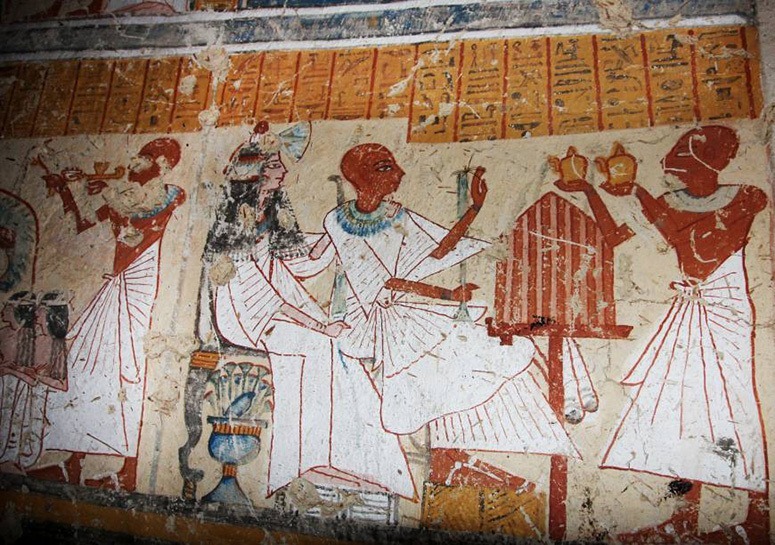 Historians believe that the first beverages were made over 12,000 years ago. Home brewing was invented close when humans started to create crops. Homebrewing was not processed the same way it is today. In its earliest form, homebrewing used barley bread instead of grains. Also, the container used for brewing would be used again and again. In the Middle Ages, monks started to craft their own beer in a monastery. Women also learned how to boil the homebrewed beer. While the homebrewers at this time didn’t know it, they were sanitizing their beer from any impurities. Not only was beer one of the safest drinks, but they also acted as a source of nutrition. As the age of exploration started, people began to carry supplies and beer to create beer as they explored. Wealthy members of society could create an elaborate brewhouse set up. However, some brewered their beer at home because it was the safest thing to drink. Skipping over to modern times, homebrewing became legal in 1933. This law was made in effect to the Prohibition Act (which made the sale of intoxicating beverages illegal). As a result over 160 breweries were legally able to create beer. Today, we can see that home brewed beer has a significant impact in our lives. 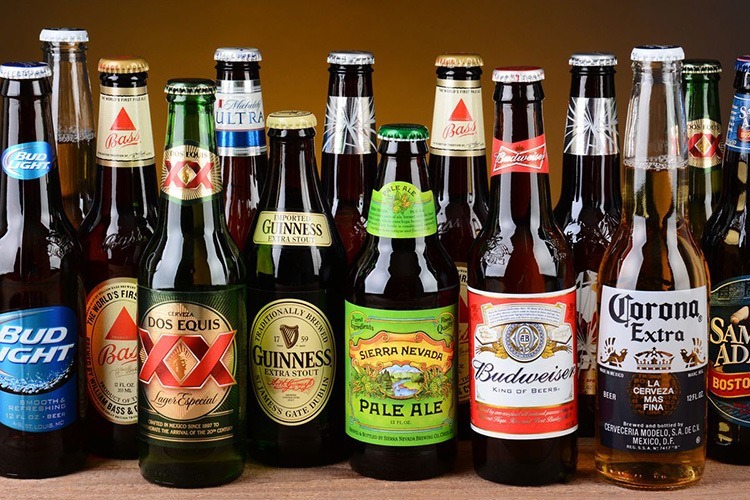 Brewing companies such as Heineken, Coors, Budweiser, have began to mass produce beer in thousands of stores internationally. When looking at its history, we can see that crafted beer is here to stay. While this can be debatable for some, craft brewing is known for having better taste quality. 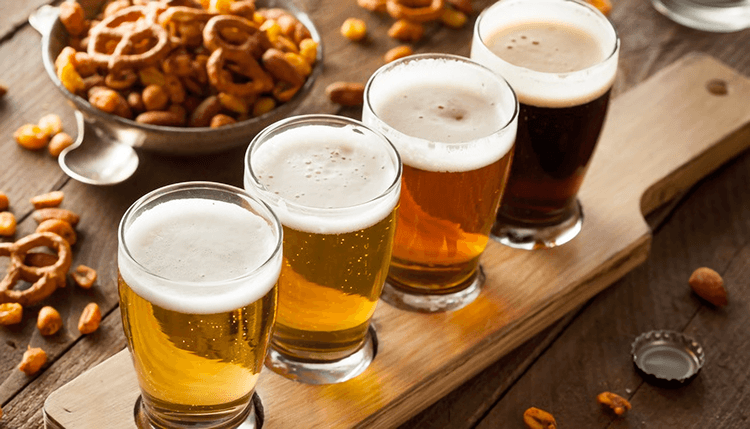 Sure, there might be some craft beers that miss the mark when it comes to taste, but there are a lot more whose taste is better than commercial brands. Also, to see the passion that craft brewers place into their beer makes users appreciate it even more. ​Research has shown that craft beer has more nutrients than wine. Also, craft beer contains B vitamins, soluble fiber, multiple antioxidants, and silicon. Silicon in your diet is used to counter osteoporosis. By drinking craft beer, you'll have fewer trips to the bathroom, which is great for your long-term bladder health. This has a few parts in it. For instance, not every store is going to have a wide selection of your favorite craft brewed brand. If you’re going on an impromptu beer run, this can be a major problem. 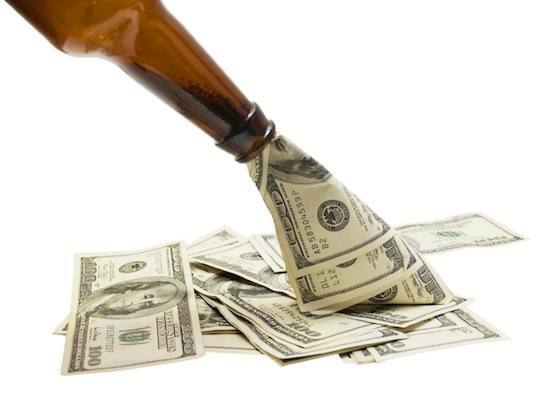 In most cases, the cost of craft beer is higher than commercial breweries. While you may receive more in the ABV department, the price is going to increase as a result. Commercial brands such as Budweiser, Heineken, and Coors has been around for decades. Your favorite craft beer company can go out of business, but commercial brands show no sign of stopping. ​You won't have an issue finding commercially brewed beer. Since it’s mass produced, you can find it in almost any alcohol store. This gives it an advantage over craft beers as they are not limited to one location. Unlike craft beer, users can buy commercially brewed beer at a lower price. This is because brewing companies use fewer materials to produce it. For a quick alcohol run, commercialized beer might be the better option. On average, commercialized beer has less alcohol content than craft beers. This means that the beer can taste "watered down." For those that are in a serious diet, commercial beer might not be a good option. When brewing beer, it's important to know the different ingredients during the process. We have a separate post if you need a further explanation on how each ingredient works. Beer yeast is an important ingredient when it comes to producing beer and bread. It contains Saccharomyces cerevisiae, which is a single-celled fungus. Also, brewer's yeast can be used to aid with the beer digestion. Brewer’s yeast can be available as a liquid, powder, tablets, or flakes. The average adult can take up to 1-2 tablespoons of brewers yeast. You can also add it to food or mix it with shakes, juice, or water. There are a few health benefits behind brewers yeast. For instance, it helps with providing energy and helping users maintain healthy hair, skin, mouth, and eyes. It can be effective at enhancing your immune system and supporting the nervous system. 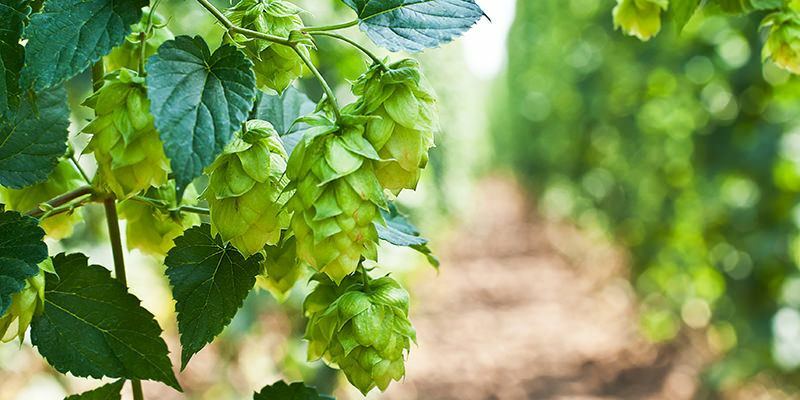 Hops are cone-shaped flowers that come from the female hop plant. They are full of alpha acids which are used to increase the bitterness of the beer. Due to their usage, they are an important part of creating high-quality beer. Hops act as a concentrated source of oils that gives beer their signature taste. Before modern refrigeration, they were used as a beer preservative. Because of hops, your beer can keep its flavor. Coaxing characteristics from hops take experience and skill. Brewers can manipulate what hops they want to use and how long the hops are boiled to obtain particular effects. Barley is a cereal grain that’s found in beverages, bread, and cuisines in different cultures. Consuming barley is said to create health benefits in the consumer’s bones, heart, and blood pressure. Like hops, barley is filled with nutrients to improve your overall health. For example, Barley is a great source of selenium, which is used to preserve skin elasticity, protecting it from loosening and radical damage. Malted Barley helps give the beer its flavor. 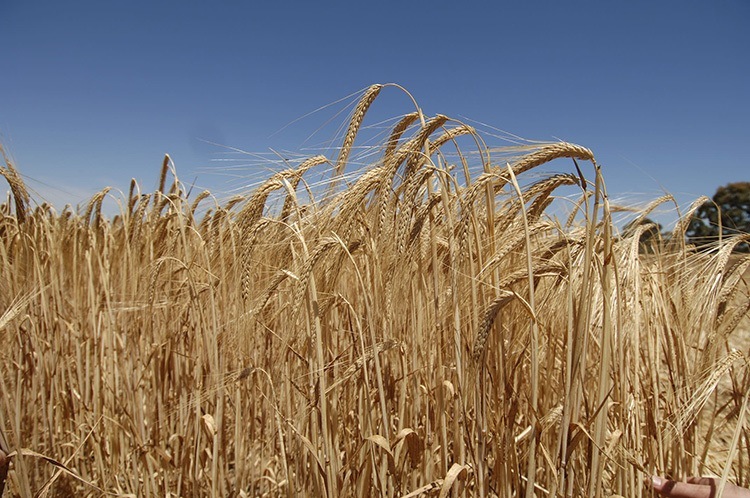 In its simplest form, it’s made when the barley is soaked into water. This allows for the starches to convert to fermentable sugars. Because of this, barley is important if you want your beer to have a “sweet” taste. 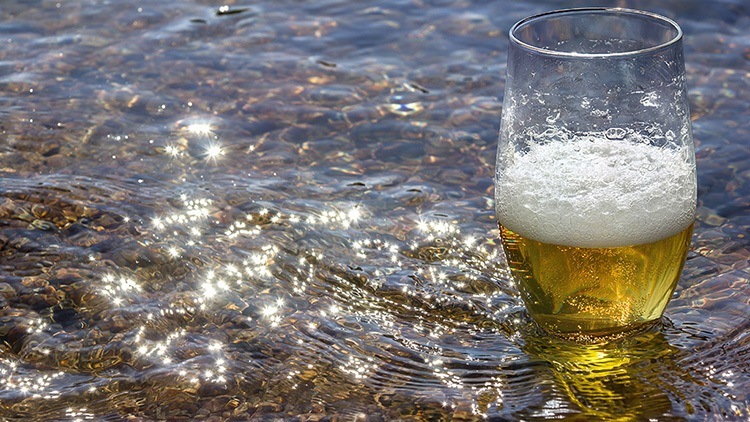 Water is a necessary ingredient for beer, especially since most beer is made out of it. Some waters that are good for brewing are Pure Rocky Mountain spring water, Burton's hard water, and Midlands water. The water can affect the starch conversion of the mash. But after the sugars are produced, the water chemistry's impact on the flavor is highly reduced. As a rule of thumb, if the water is good, to begin with, then the beer should taste good. While these ingredients are optional, using them correctly can make a huge difference in the quality of your beer. Caramel is a candy that’s created when the sugar is heated up to 170° Fahrenheit. Once the sugar is heated up to this point, the molecules will break down and make compounds that have a rich, deep flavor and a dark golden brown color. Caramel is used to increase the sweetness of the beer. In fact, some brewers can use their own sugar to make caramel. Like water, the higher quality the caramel, the better the taste of the beer. Want to give your beer a mature, yet interesting taste? Then don’t be afraid to add fruit aromas to the mix. Fruit comes in multiple forms. Some brewers selected fresh fruit because it has no aroma or taste that was altered during the processing stage. Some brewers like the convenience of using purées, juices, or concentrates. The fruit products save you time because you can open the jar or can and use it like you would any liquid sugar source (ie, honey, molasses, and liquid malt extract.). And these fruits are considered sterile. 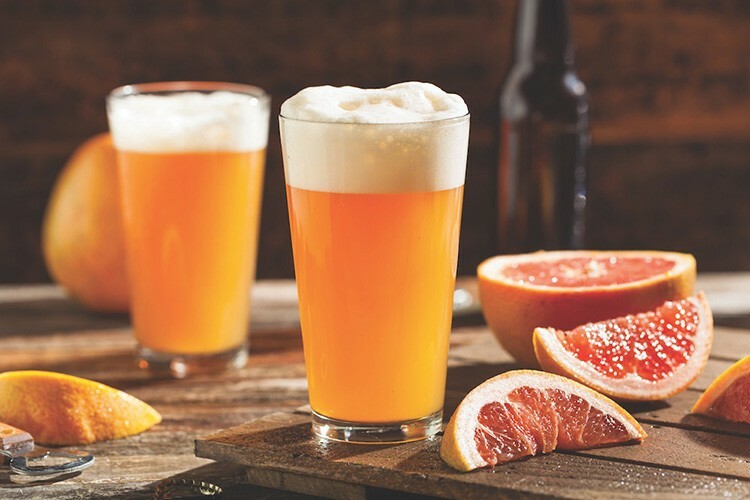 If contamination is a huge concern when selecting a fruit beer, then sterile fruit products is an option you should look into. First-time brewers should avoid fruit products that have more than 100% fruit. There some fruit products that consist of added sugar. Also don't use jellies or jams either, as they contain pectins which might negatively affect the final result of your beer. Still, try to include some fruit aromas if you want to enhance the taste! Chocolate comes from the cacao tree, which grows from the tropics in the Americas. The beans of the small evergreen are husked, roasted, and ground into some cocoa powder. The natural fat is removed. If you're looking for untreated, and pure cocoa beans, you can place them in your homebrew as you would coffee beans - crushed, roasted, like using a specialty grain. When using chocolate, make sure you place enough to ensure that the beer retains its taste. Combine the caffeine of coffee and the sweet taste of a well-crafted beer, and you'll experience a unique drink. Coffee has a unique flavor that can't be artificially replicated. When the specific beans have the desired taste qualities, then the beer will taste more dynamic than its original form. 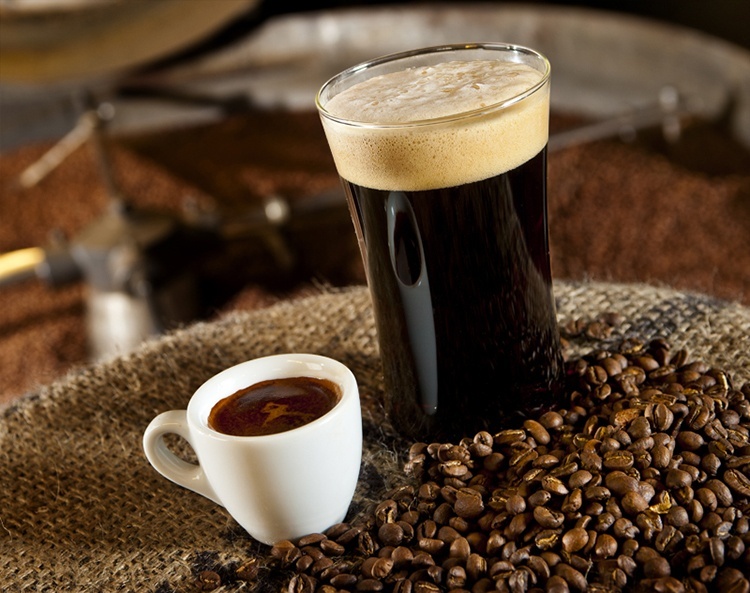 Usually, coffee beers are made by a resulting porter or stout. This is because these heavier beers weight them that compliments the complex qualities that coffee adds to the beer. First-time brewers should take a look at this section. We'll help you understand the basic brewing equipment you'll need to start crafting your own beer. Fermentation is a process where the yeast converts glucose into carbon dioxide gas and ethyl alcohol. As a result, it gives the beer its alcohol carbonation and content. While there is a myriad of fermenters out there, we'll briefly explain the conical fermenter as its the most popular choice. Beginner brewers like them because they are easy to maintain and made out of stainless steel. To use them, simply ferment and transfer the wort as you usually would. Most homebrewing conical fermenters have an airlock on the top to reduce the pressure during its fermentation stage. This allows you to draw the sediment as needed on the bottom of the conical fermenter. When you draw liquid from the bottom of your fermenter, you have to be aware that some of the air will enter through your airlock. We suggest that you use a two-way airlock that temporarily removes the airlock or allow some air in. While adding air to your fermenter isn’t ideal, it helps with drawing out small amounts of sediment because there will be a CO2 layer protecting it, and some of the fermentation will be creating CO2 to release the air. 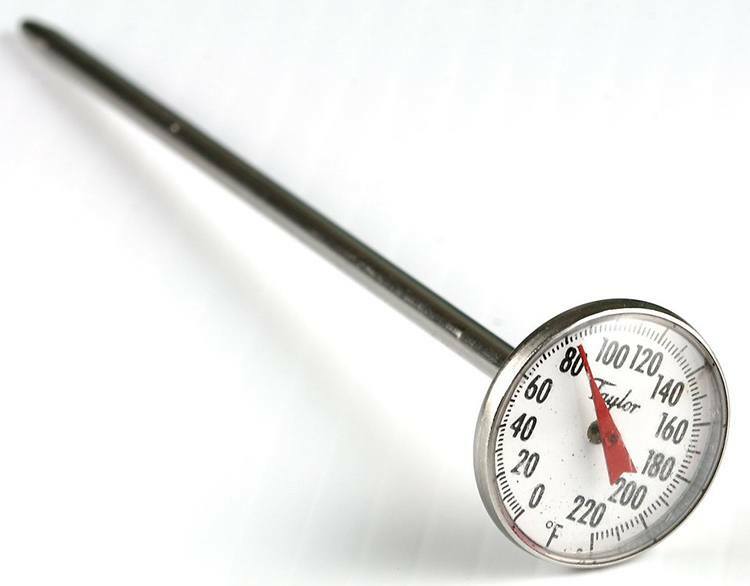 The standard issue thermometer that comes with most brewing kits is inexpensive, effective and reliable. 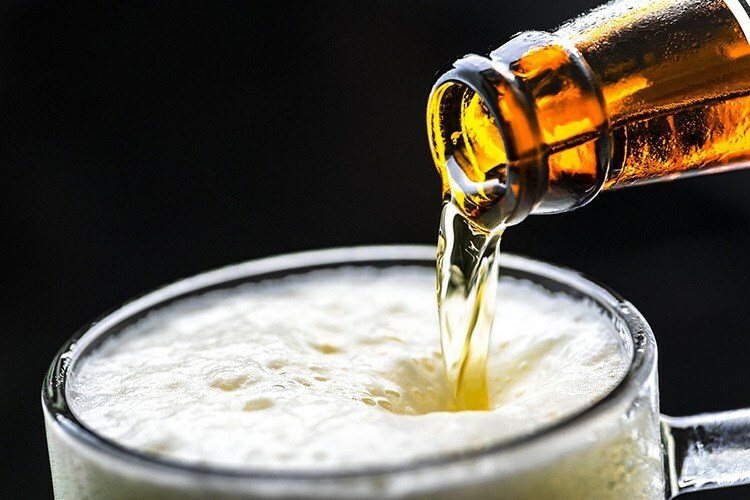 But, the alcohol placed inside the glass might have a low boiling point, which could lead to it vaporizing in the channel if it hasn't been fully submerged. Repeated cycles of the boil-and vaporize procedure can create bubbles in the lines of alcohol. This will reduce the performance of your thermometer. And, glass thermometers tend to break easily. These thermometers usually have an internal bimetallic coil, which is two different metals combined together. When the two metals expand when they are exposed to heat, the helix starts to twist proportionally towards the temperature. The twisting rotates the dial and displays the temperature. Thermistor thermometers measure temperature by using an electrical resistor created from a semiconductor. Your semiconductor’s resistance will change with temperature, so you can infer the temperature by measuring the resistance. Usually, thermistor thermometers are nonlinear. This means that they’re optimized to display a narrow range of temperatures. As a result, they can be less accurate than standard thermometers. These thermometers are made by two resistance wires that are located at the probe. Once heat is applied to the wires, a small electrical charge is created. The temperature is then inferred from the change in voltage between the wires. 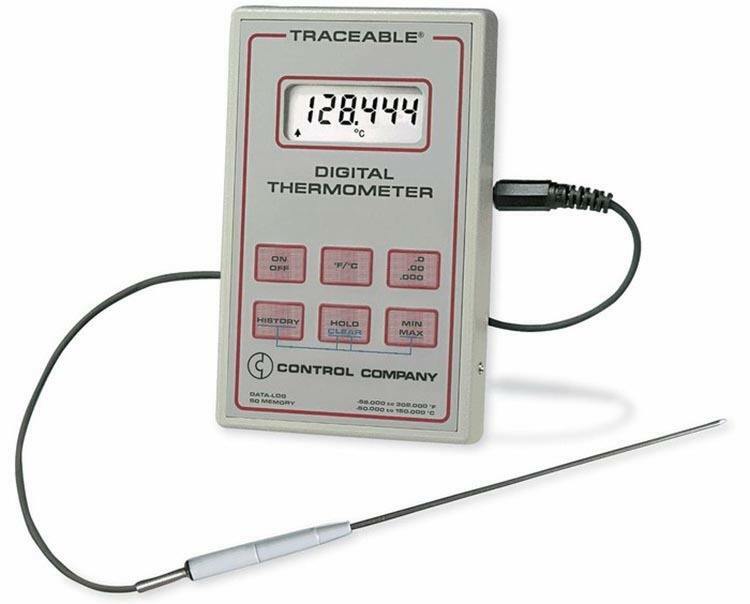 Thermocouple thermometers are linear in their operation, meaning that they act the same throughout the temperature ranges. The brew pot might be the most important investments to make. It allows you to store your ingredients and mix them together. Beginners can get a pot that’s under 3 gallons. But to make the best brew, you’ll need to boil as much wort as possible. Both professional and amateur brewers prefer using stainless steel because it's easy to clean and is nonreactive. However, it's expensive so it might not be good for first-time brewers on a budget. Alternatively, you can use aluminum brew pots as well. It’s inexpensive, lightweight, and can hold heat better than stainless steel brewing pots. Ultimately, it depends on your personal preference. To mix ingredients, you’re going to need to invest in a stirring paddle. For the best results, we suggest that you select a steel paddle. You can opt for a basic stir paddle, which allows for you to mix, aerate, and mash your ingredients together. 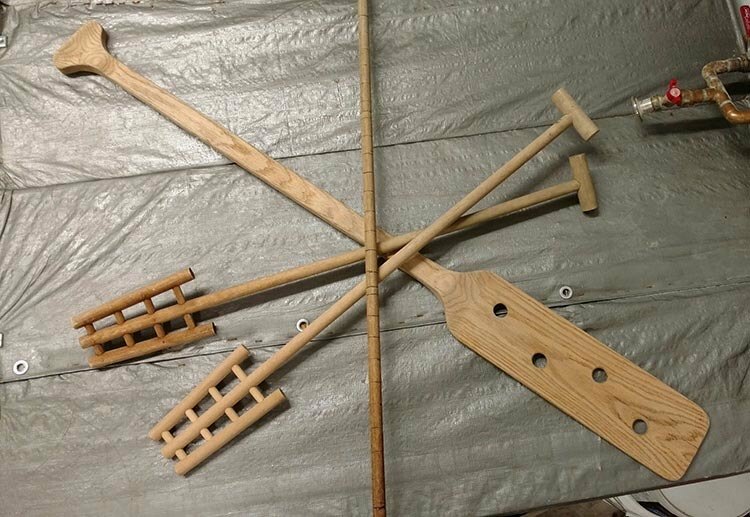 Or you can try a twin bladed paddle, which helps creates a "whirlpool" and stirs faster than a basic paddle. As you become more experienced in brewing, you can use an aerated whirlpool paddle. These paddles help with the stirring and the aeration process. No matter which paddle you get, continue to stir it until your beer reaches the desired texture. 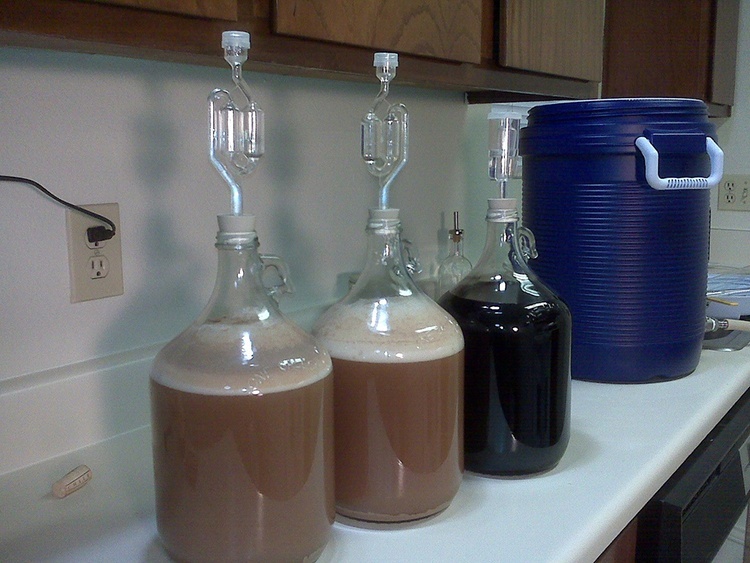 Siphoning beer, transferring it, or racking it. Whatever you call it, you’ll need to transfer your beer from one container to another after it’s cooled off and placed in the fermentor. At this stage, you don’t want any oxygen or bugs, so pouring is not a good option. Whether you're planning to brew beer at your home, or having a few pieces of homebrew on your belt, you have to check out your bottling options. Select the right bottle, and you can increase the enjoyment. For people that are starting out, PET bottles are a good option. PET bottles are durable, reusable, and is great for viewing your beer and tracking their progress. Not only are the bottles are reusable, and so are smaller lids that you can use. Cleaning is simple with PET bottles, although you can get a nylon bottle brush to help with the cleanup. Don’t worry if the bottles are too sudsy when washing and fall on the floor, because they aren’t made of glass. These are vintage styled bottles that can seal itself, and glass swing top bottles are very convenient. The self-locking cap was built to seal in the beer batch after batch. Professional, nostalgic, and polished, these bottles are great for those who want a give their homebrewed beers as a gift. The bottles may be self-capping and reusable, but they're made of glass, so they are not durable because they can break when they dropped. 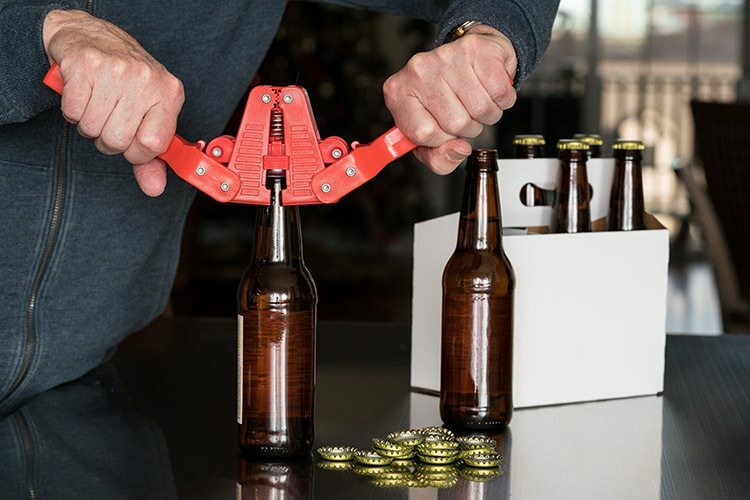 So you want to pop the top of your beer with a lighter, keychain opener, or another object. Aside from that, long neck bottles look similar to the ones you can grab at your local beer shop, brewery, or beer pup. To utilize these bottles, you'll want to have a capper and multiple standard crown caps to seal the beer. 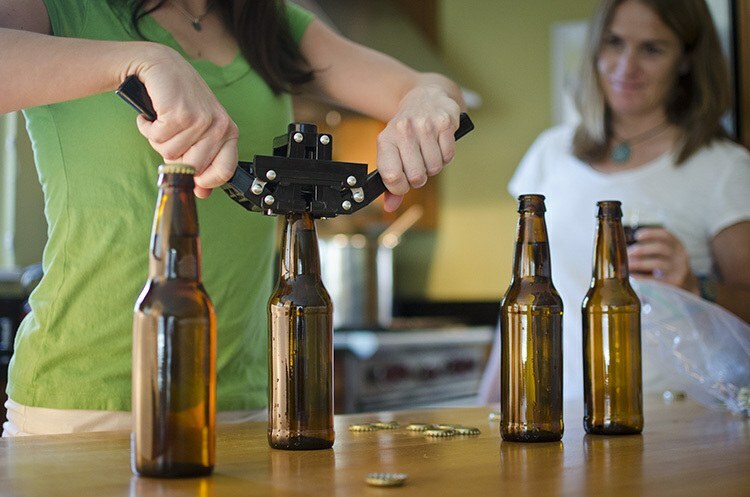 In terms of capping, you can opt for a two-handed bottle capper or a bench capper. Like PET bottles, the bottle can make it through multiple uses, while their caps do not. While they may be tough, they aren't built to last. One drop and the glass might break. Bottling your beer is more affordable and transported. If you’re planning on bottling, you’ll have to pick the correct bottling machine to help fulfill your needs. Bottle cappers or bottle capping machines are made to create a tight seal to keep the integrity of the bottle during fermentation, overall shelf life, and transport. Screw caps and threaded bottles are a convenient option, but crown caps have a better seal. It’s important to have a good seal on your bottles to prevent the beer from spoiling. Whether you’re getting into homebrewing and want to make your first batch, a brewing kit is the best option. You can have kits that can help you find almost any form of beer. Buying equipment piece by piece can get expensive. While this can be great for professionals, it can be expensive for new users. Unless one of the parts of your kit is broken, you should stick to buying kits. There are a multitude of brewing methods to help brew some high-quality beer. Here are the most common methods available. Most first time brewers start off with extract brewing. 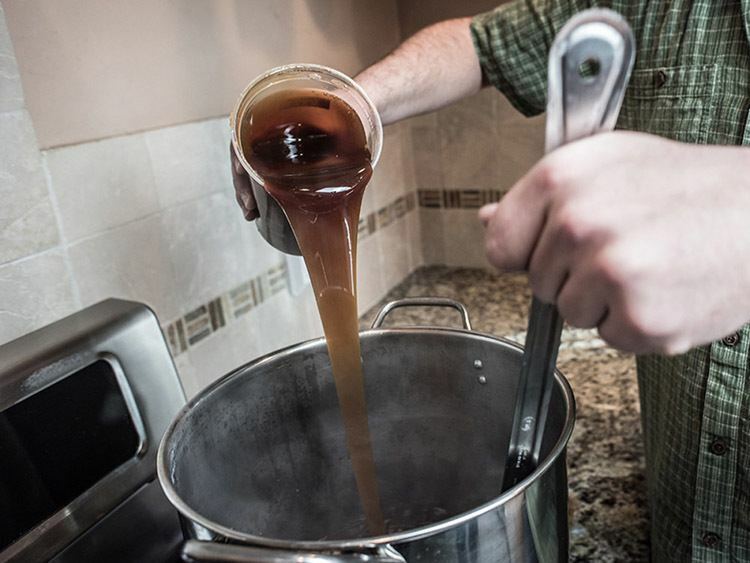 Extract brewing involves using malt extract during the brewing process. By using malt extract, the brewer can skip the mashing process. 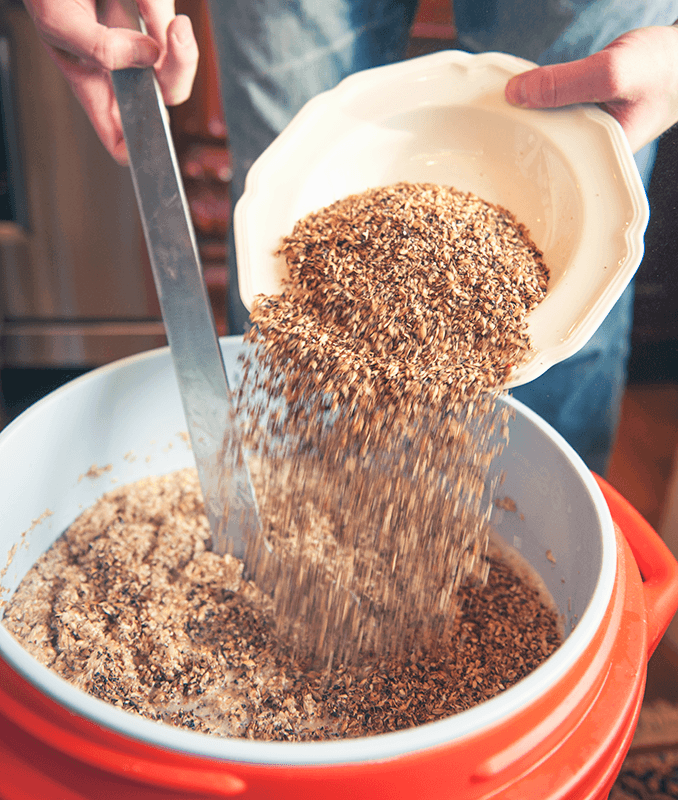 When brewing with malt extract, you're not required to have a massive operation for mashing down large numbers of grain. This means that there is a smaller initial investment, making it cheaper than other brewing. Extract brewing takes less equipment and time than All Grain brewing. 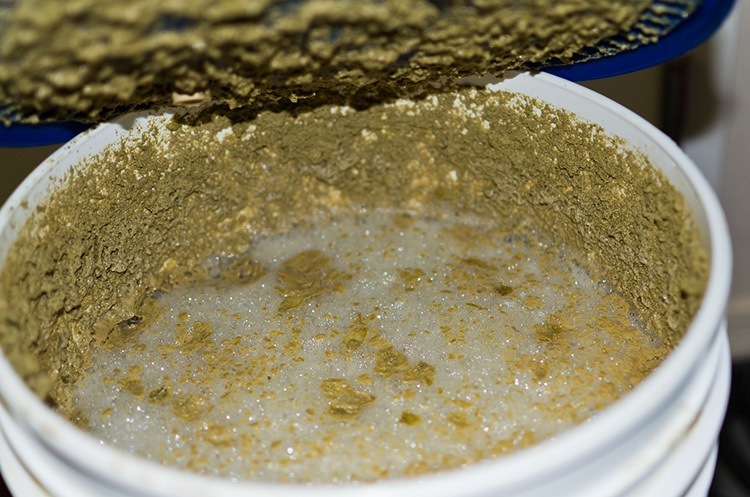 During the extract brewing process, the malt extract is added to the brew pot and is boiled with Hops to make a sweet liquid (word) for fermenting. 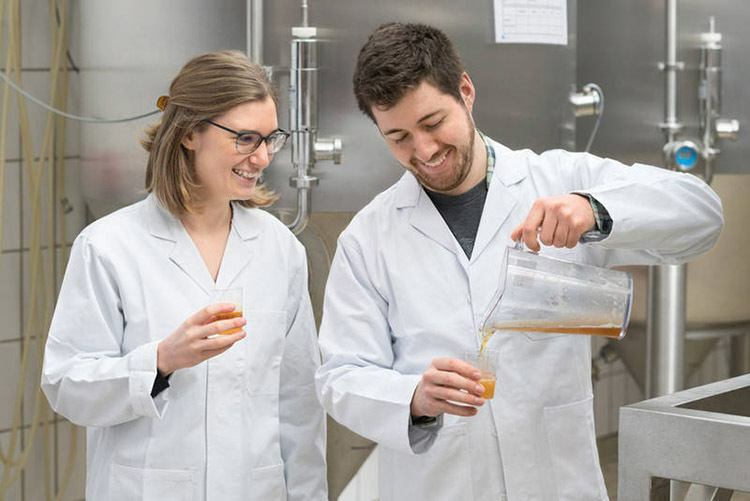 You can make high-quality beer with extract brewing, but it doesn't have a complete range of ingredients and handle variations that are made with All Grain brewing. 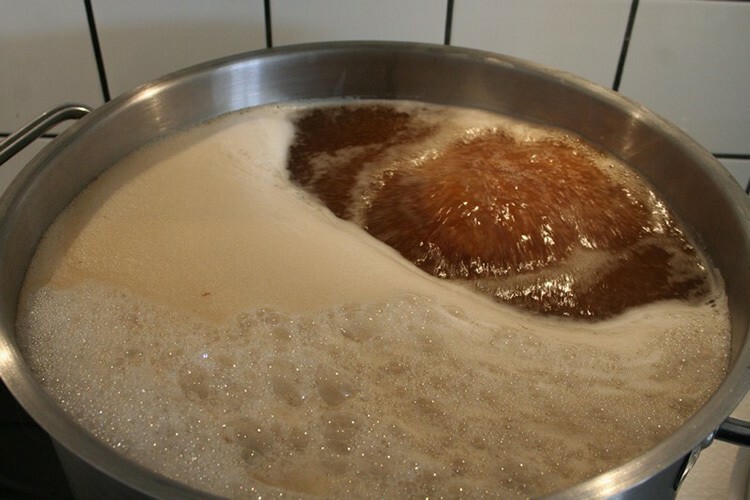 All-grain brewing is different than extract brewing in the wort production stage. You soak malted grains inside hot water to turn starch into sugar, then remove the sugary liquid. Once the wort was made in the brew pot, then you can continue the procedure as you would with extract brewing. The only issue is that you’ll have to do complete boils and not have the ability to use partial boils. This can pose a few challenges that can be solved with a few additional pieces of equipment. Brew in a bag is a is an all-grain brewing method that was originated in Australia. 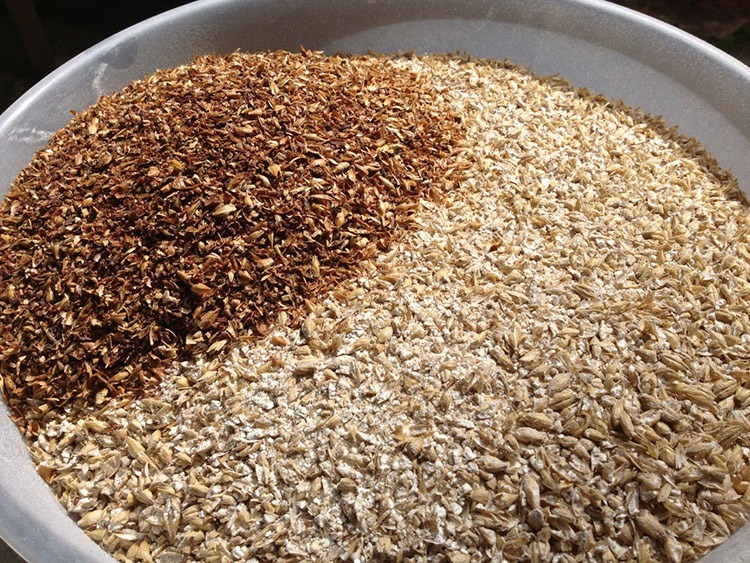 BIAB is a simple way for homebrewers to turn to all grain or partially mash brewing. Beginner brewers use brew in a bag for faster brewing, cleanup times, and shorter setup. The reason why BIAB brewing was invented was to speed up the process of all grain brewing. This method involves using one-grain bag set inside the brew pot to mash over the grains, followed by a step where the bag is released, and the wort is boiled like you would any other beer. First, you want to create a work area to start brewing. This means that you’ll have your essential equipment, ingredients, and make sure that your equipment is fully sanitized. If you're brewing high-quality beer (imperial stout, barleywine, Belgian trippel, etc. 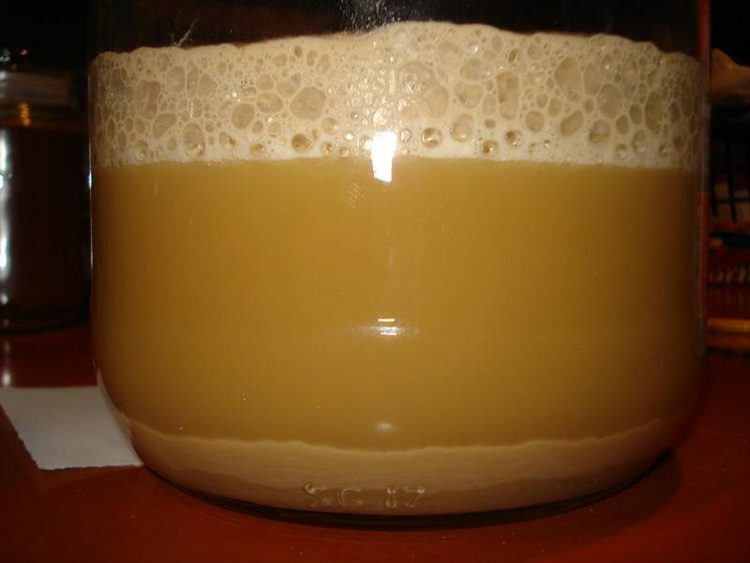 ), we suggest that you make a yeast starter at least 24-48 hours before brewing or pitching an additional yeast. ​For Dry Yeast: Keep it with other brewing ingredients. ​Liquid Yeast: Place it in the refrigerator until you’re ready to start the brewing process. Next, your brew pot is at 20 quarts 5 gallons, heat up 2-2.5 gallons of water. For larger pots up to 30 gallons, you'll need 5 gallons on water. Heat it up to 170° and remove the thermometer and shut off the heat. Place the grains inside a grain sock and tie it off. In the 10-20 minute mark, pick up the lid and place the grains up and down in the water, putting it in their normal steeping position once it's done. Make sure that you’ve prepared your ingredients and equipment before boiling. Place your heat in the highest setting and heat up the wort to at least 200° Fahrenheit. By doing this, it will help your ingredients mix together and improve the taste quality. When the pot is at 200°F, you have to add your malt extracts. If the wort isn't hot, then the maple syrup will drop to the bottom of the Storch and pot. To successfully boil the wort, turn off the heat before adding the hops. Doing so will avoid boil overs and flare-ups. Once the pot reaches a boil, and after you've turned off the heat, then you can start adding in the hops (aka flavoring or bittering hops). Unless the recipe says otherwise, bittering hops should be added at the beginning of the boil. When adding the hops, you’ll notice that they tend to react rather violently. Wait for the reaction to subside, as there’s no need for stirring. After the hops settled down, users can turn the heat back to its full setting. Unless the recipe says otherwise, boil the homebrew for at least 60 minutes. Make sure that someone is always watching the pot to ensure that everything is running smoothly. When you’re done boiling the wort, turn off the heat and place the lid back on the pot. Fermentation is the process that uses microorganisms such as yeast and bacteria. It’s used to convert carbohydrates to organic acids or alcohol under anaerobic conditions. There's two form of fermentation: lactic acid and alcoholic. Ethanol fermentation or alcoholic fermentation is when pyruvate is turned to ethanol and carbon dioxide by yeast and bacteria. Alcohol fermentation is used to create bread, wine, and beer. Pyruvate molecules can be fermented to lactic acid. Lactic acid fermentation then converts the lactose to lactic acid. So make sure to include the fermentation process if you want to get the most out of your homebrewed beer. Ale is yeast that contains Saccharomyces cerevisiae and is used in a myriad of different applications, including bread making and wine. It's known for having a wider range of environments, temperature, and a higher amount of alcohol content or any other changes. It’s viewed as a top-fermenting yeast as it will first rise towards the top and then to the bottom. This quality makes it easier to harvest yeast without interrupting the process. In historical cultures where the bread making was made right beside the brewing industry. Lager is fermented with Saccharomyces uvarum. The yeast doesn’t do as much bottom fermenting as it doesn’t rise to the top like ale yeast. In comparison to ale yeast, lagers have a more fragile wheat. While they have a require different conditions to survive, this means it can create more outcomes than ale yeast. And it attenuates sugars which extends the brewing process. It can ferment mebilose, a sugar that can’t be fermented by high-performing yeasts and has a low tolerance to alcohol. Because of these three features, the sugar stays inside the beer, creating a sweeter, smoother beer. When brewing beer for the first time, expect to take at least 6 hours for the beer to brew and clean up (this time will become shorter once you gain experience). Then, the beer will start to ferment for around 2 weeks. After that, you’ll spend around 2-3 hours bottling the beer. You’ll still have to wait 1-2 weeks before its ready to drink. On average, the total elapsed time will be around 3-4 weeks. 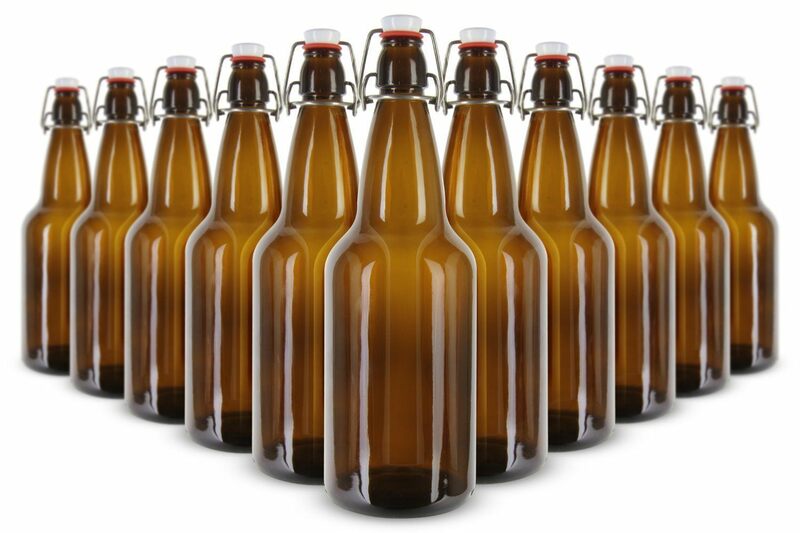 Bottling beers help protect the beer from bacteria. Just like any piece of equipment, the bottle caps are sanitized in order to stay in good condition. As a rule of thumb, any pry off styled bottles can be capped on your beer. Screw top bottles aren't compatible, as they create an uneven sealing surface that can lead to breakage. Store the beer in its warm, dark area for at least two weeks. This gives the yeast time to "condition" the beer. After it's been carbonated, the beer needs to be placed in a cool area until its ready to be consumed. You’ll need to add sugar to help carbonate the beer. Also, we use sugar to help neutralize the flavor. 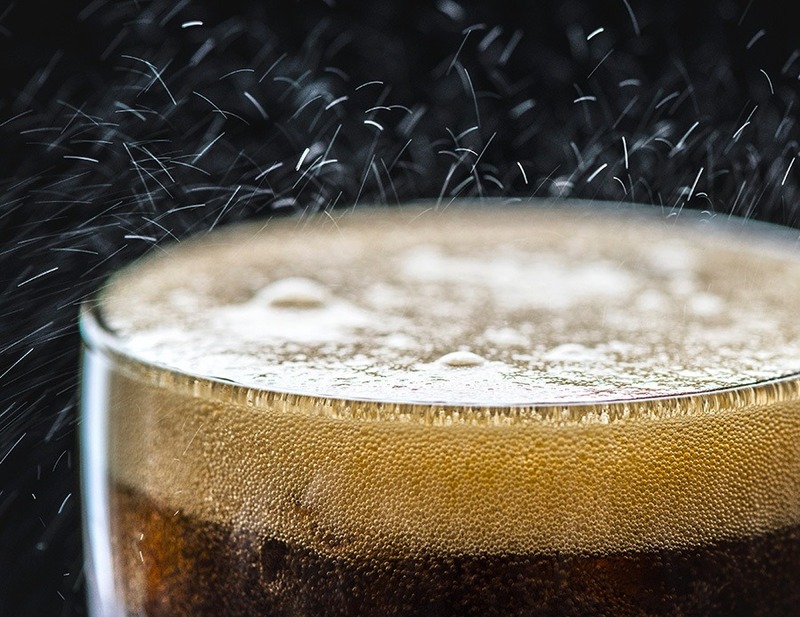 Usually, you can use table sugar, rice syrup, or corn sugar to help carbonate the beer. When brewing your first beer, know what type of sugar you're using. For instance, adding molasses will give your beer a rum-like taste. Take time deciding what type of sugar you'd want to maximize the taste quality of your beer. On average, beer lasts 6-9 months past its expiration date. When opening your beer bottle, you can tell if it has gone bad. When you open the bottle, you need to hear a "psst" sound, indicating the beer is ready to drink. Also, you should see white foam rising from the lid when opening. A lack of foam is another indicator that the beer has gone bad. Regular maintenance will improve the quality and the taste of your brew coming from your kegerator or dispenser. Think that your beer lines can’t get dirty? Think again. Over time they’ll collect deposits of sugars and yeasts that can negatively affect the taste of the beer and cause excessive foaming. To avoid this, we recommend that you clean the beer lines every 1/2th keg. Spending several hundred dollars on a homebrewing kit and neglecting to clean and sanitize it is like buying an expensive car and filling it with unleaded gas. While you might save a couple dollars on the pump, the repercussions will make the frugality seem idiotic. While household cleaners and bleach are great for your kitchen surfaces and bathroom, you’re not consuming anything that comes into contact with these surfaces. They are harsh cleaners that are good for their intended purpose, but they don’t transfer well when crafting beer. When brewing, you have to create a healthy environment for the yeast. This means that any germs, bacteria and such will have negative effects on the beer and it's important that you prevent them from getting in contact with your beer/wort at any time. This includes but isn't limited to airlocks, brew pots, mash paddles, siphons, etc. To fully clean your equipment, you’ll have to use both cleaners and sanitizers. Cleaners involve removing the dirt and while sanitizing removes the living organisms present. While you can’t fully eliminate the living organisms, you want to get them down to levels where they can’t negatively affect your health. First, you need to clean your brewing equipment first. You can use mild dish detergent as long as they are non-toxic. If you’re using dish detergent, make sure that its clean from dyes and perfumes. However, they are designed to remove grease, and might find that their composition might leave extra residue on the equipment, leading to extra rinsing and scrubbing. One good practice that is to clean out your equipment quickly to avoid stains and dirt from setting in. Once the sugars and yeast by-product takes time to attach itself on a surface, this can make it difficult to remove. Getting a good cleaner reduces the need to scrub your materials. Once you've cleaned your equipment, rinse it with cool water. After that, let it air dry or wipe it off with a clean cloth. Once you’re done cleaning, you have a sanitize your equipment. It’s important to sanitize everything you use after boiling it. We suggest that you use no-rinse sanitizer. The reason because of this is the tap water might have bacteria inside it. While this is ok for consumption, it’s not ok when brewing yeast. Depending on what sanitizer you choose, the quality of your sanitizer is dependent on how you use it. Make sure to follow the instructions on the sanitizer you choose. Some have an average contact time of 30 seconds while some will need 5 minutes or longer. So while you can find some sanitizers at home, its best to invest in sanitizers and cleaners created for the brewing process. They're made with the right chemical makeup to remove dirt, bacteria, and other viruses underneath your brew. Using the right cleaners and sanitizers will help create better-tasting beer while keeping you healthy. ​Sure, some people say that plastic fermenters are higher quality, but you’re better off with a glass brewer. Glass fermentors last longer, won’t leak, and is easier to clean and sanitize. Here are two rules of thumbs to follow: Don't let yeast stay in the refrigerator for two months. Second, make sure it has the right amount of oxygen and nutrients to get the job done. Make sure that the alcohol level is light, but not too light. While you can brew a stronger beer, it can be difficult to manage the thicker fermentations. Going light gives you less room for error since there’s no way to hide flaws. A good ABV range for beginners is around 4.5% - 7%. 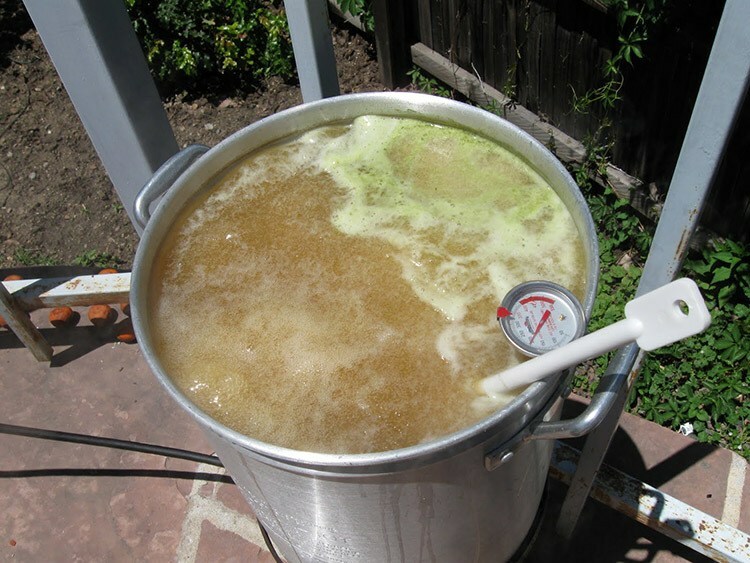 ​Boiling the beer has several important functions. First, it stabilizes the beer, releases bittering oil from the hops and other ingredients, so they fall out while brewing. To achieve this, you have to boil the wort for at least 60 minutes. 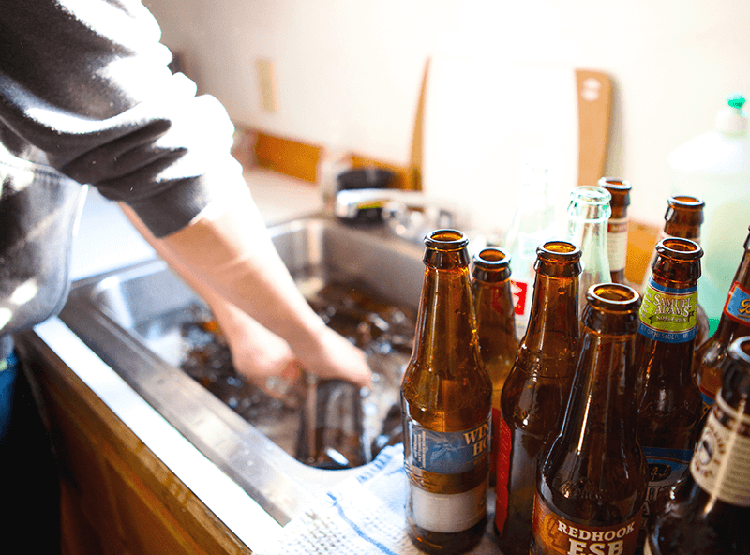 After your beer is finished cooling, make sure that you sterilize it. Bacteria tend to attach to the yeast after the fermentation stage. Sure, you've bought your first brewing kit, but it's better to make long-term purchases than a series of short-term purchases. By doing this, you'll have all the materials you need, and they'll reduce expenses for repairs if you short-term brewing kit fails. Fresh ingredients make better-homebrewed beer. For instance, if you started with dry yeast, then move to a liquid yeast. Store the liquid yeast inside the refrigerator, place the hops in the freezer, and put the grains in a dry place. Boil all of your wort to make the best results. If you're only boiling 3 gallons out of a 5-gallon batch, you're not getting the full benefits of a 90-minute brew. We suggest that you get a 7-12 gallon batch when moving to all-grain brewing and the full boils will enhance your beer. To craft beers successfully, you have to regulate and monitor the fermentation temperature. Do this by wrapping towels around the fermentor and place a standing fan in front of it. Every 12 hours, make sure you soak the towels in cold water to stay wet and wrap it around the fermenter. ​Always try to keep a log of recipes when crafting beer. This will help you modify the recipe until you’ve reached perfection. Write down the Ingredients, Recipe, and Outcome. By doing this, you’ll learn more about brewing and improve the quality of your results. And there you have it. 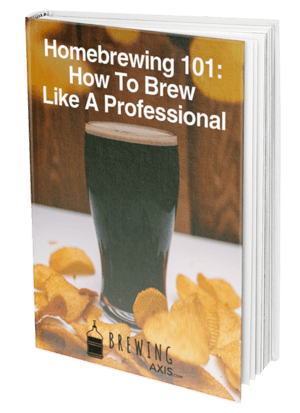 Brewing beer will take time, but you’ll save time and money once you get the hang of it. For first time brewers wanting to get the right brewing kits, we invite you to look at our buying guide. We’ll give you the right products available to ensure that your first brewing batch, is a memorable one.